This one-of-a-kind resource in professional ethics helps Christian leaders maintain a high moral character and lifestyle and sharpen their personal and professional decision-making skills amid the rapidly changing landscape of the contemporary church. 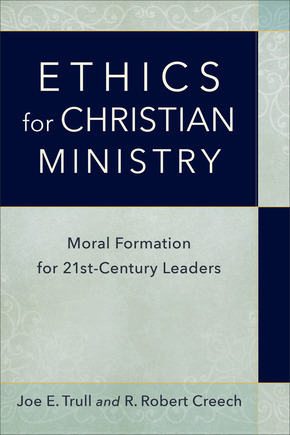 Joe Trull and Robert Creech bring together their experience as teachers and pastors to address both current and perennial ethical issues and offer guidance for developing a personal code of ethics to maintain integrity in the work of ministry. The authors address the nature of ethical decision making as well as practical areas where integrity can be compromised, including issues raised by the use of smartphones and social media. Ethics for Christian Ministry will be useful for professors and students in practical ministry, pastoral care, and ministerial ethics classes as well as pastors involved in local church ministry. 1. Walking with Integrity: A Profession or a Calling? Leave your name in the comments section no later than Friday, April 27th. I’ll draw the winner’s name that day. If I don’t hear back from the winner within seven days the book will go to another entry. Entries are limited to U.S. residents.